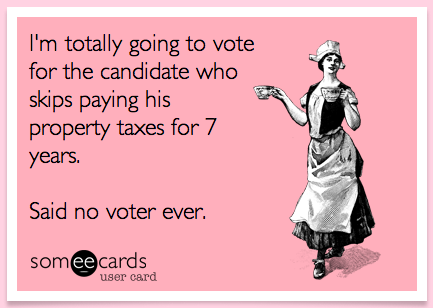 The notion of a politician who raises taxes but fails to pay their property taxes isn't going to poll well, is it? More bad news for Mike Frerichs and his candidacy for Illinois State Treasurer. Voters don't like a tax cheat.